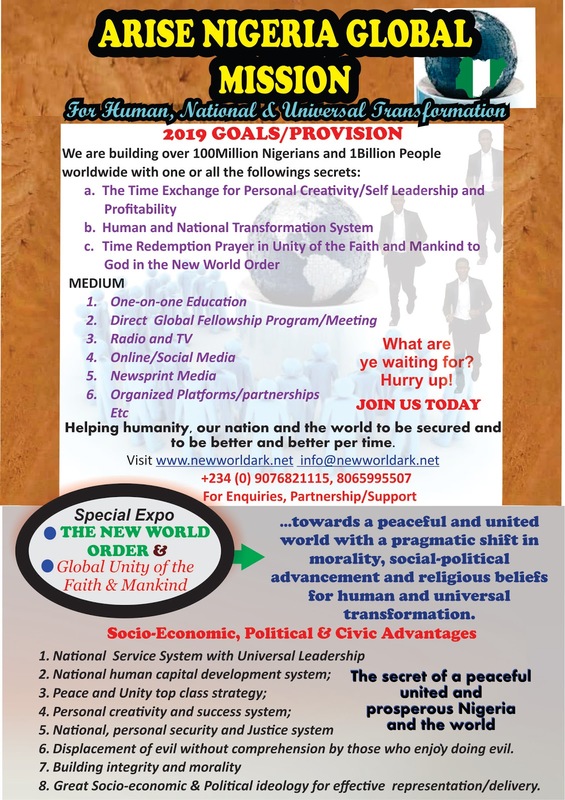 SPECIAL EXPO: The New World Order and Unity of the Faith and Mankind towards a peaceful and united world with a pragmatic shift in morality, social-political advancement and religious beliefs for human and universal transformation. 8. Human Rights with Socio-economic & Political ideology for effective representation/delivery. Human Capital is the Bedrock of all kinds of transformation. Human capital consists of the knowledge, skills and health of a people including their unity and peace for self and universal leadership and transformation. Therefore without a system of human capital development, natural resources will be unutilized, untapped and national transformation or reforms will be short-lived. 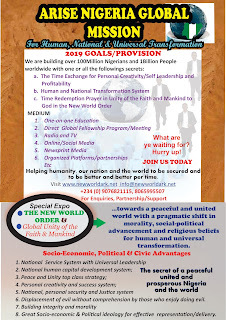 The system of Time Exchange is advancement on the educational or school system of knowledge creation; in fact it is the Fifth Estate Realm uniting the church, government, people and the media for positive advancement and development. It is the system that influences all other systems to work better through human capital transformation, recourse utilization and universal leadership unity. It gives every individual an opportunity for self-development and contribution to universal transformation, peace, unity irrespective of gender or location. It enforces human rights and freedom of association, choice, and religious tolerance.